As the first law of photobiology, the “Grotthus-Draper law” states, without absorption there can be no reaction. Only adequate energy absorption brings about effective phototherapy, which will not be possible without meeting the following 3 criteria. 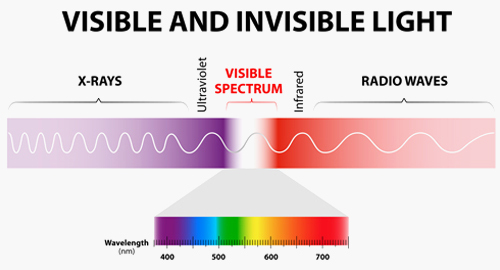 The spectrum system being used must have the correct wavelength for the target cells or chromophores. At present, 830nm has been established as the best wavelength for all aspects of skin rejuvenation, wound healing, anti-inflammatory treatment and pain attenuation. Equivalent to power density (W/cm2), photon intensity must be adequate, meaning sufficient absorption of the photons, to achieve the desired result. If the intensity is too high, however, the photon energy will be transformed to excessive heat in the target tissue, which is undesirable. Indicating the dose or energy density, fluence (J/cm2), has to be adequate too. If the photon intensity is too low, it is unlikely to arrive at the ideal condition even when irradiation time is prolonged. Medgene Spectrum — Healight 830nm has all photons of close to single identical rated wavelength, less divergence, stronger and stabler output powers, and features much higher photon intensity than the older generation. With its dynamic benefits, Medgene Spectrum serves also as a useful addition to virtually all aesthetic treatments. In MedGene, we endeavour to provide not just innovative, but more importantly, potent and risk-free dermatological solutions with non-invasive phototherapy to our customers. *Source: Adjunctive 830 nm light-emitting diode therapy can improve the results following aesthetic procedures Calderhead RG, Kim WS, Ohshiro T, Trelles MA, Vasily DB.